Bills and expenses come with owning a home, but being house poor wasn’t likely your goal when putting a roof over your family’s heads. Instead, you probably planned on saving for retirement, stashing away money for your child’s education, and having a little extra to take a family vacation now and then. But if the end of the month has you seeing more red than black, it’s time to look for more ways to cut back. Some examples include clipping coupons so that you can make more affordable meals at home and thus reduce eating out as often. Maybe you swap a gym membership for running around the neighborhood instead. And of course, cable has got to go. Those are all great places to start, but remember being frugal isn’t all about stripping your life of little luxuries. In fact, there’s actually a way to potentially keep more in your wallet without having to sacrifice your current lifestyle. And it’s as simple as having a home energy evaluation. Depending on where you live, you likely have more months than not when you’re heating and cooling your home. And unless your home is newly constructed to be energy efficient, you could be letting money blow away each day. A professional can help determine problematic areas of your home as well as offer a plan on how to make your home operate more effectively. increasing the resale and marketability of your home. improving the comfort level of your home by ridding it of common hot and cold spots. creating a healthier environment, but blocking allergens and the potential for moisture-related mold and mildew from entering your living areas. addressing areas of your home that could evolve into bigger problems, such as burst pipes and structural issues. 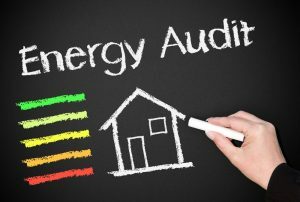 Whether you’re looking to save money or simple take advantage of the many other benefits of having your home operate more efficiently, there’s no better time than now to bring in a professional to conduct a home energy evaluation where you live. At A&J Property Restoration DKI, we provide both full-service emergency and non-emergency damage restoration services for commercial and residential clients. 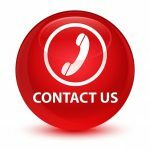 Our services include 24/7 emergency fire and water restoration, water damage clean up service and water damage restoration service, sewage clean up services and black mold removal service. We also specialize in tough cleaning projects and offer residential and commercial cleaning services. A&J’s emergency response team will help get you back on your feet as quickly as possible with a unique combination of expertise and compassion with 24/7 emergency services for homes, businesses, and commercial buildings around Madison, Middleton, Sun Prairie, Waunakee, Portage, Milwaukee, Brookfield, WI Dells, Fort Atkinson, Watertown, Oconomowoc, Waukesha, West Allis, and surrounding Dane County Wisconsin areas.